CLOSEOUTS. 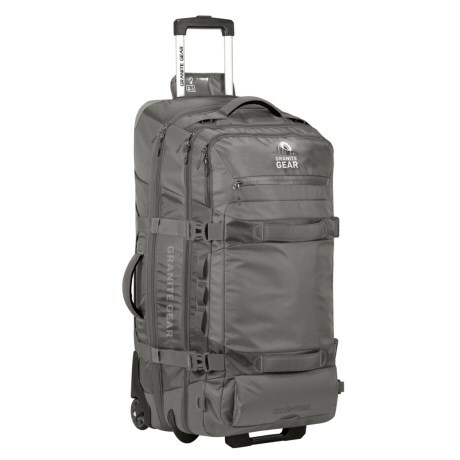 Granite Gearand#39;s 32and" Cross-Trek rolling duffel bag transports your clothes and gear with a wheeled design plus padded shoulder straps for hands-free carry. Available Colors: FLINT/CHROMIUM.